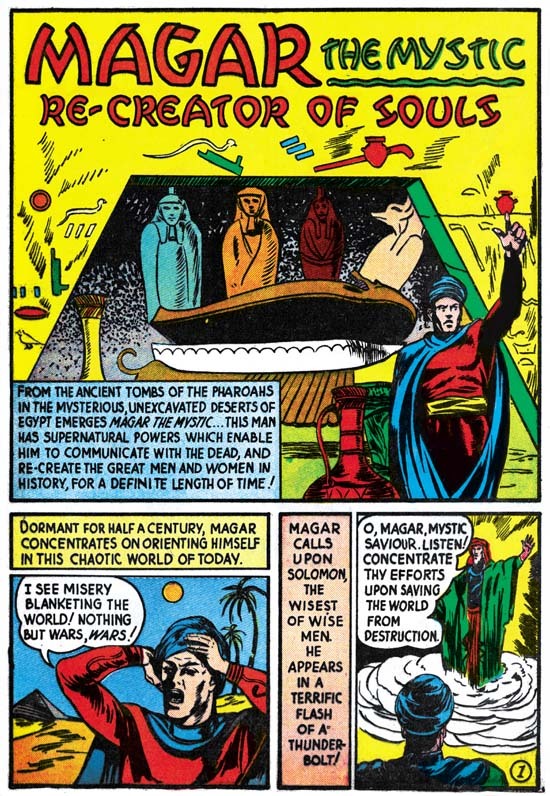 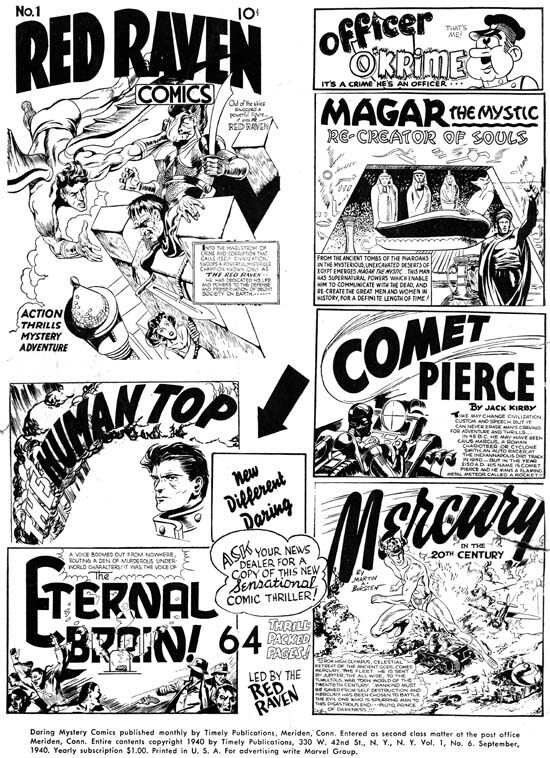 Once again some rather poor inking mars an otherwise great Simon and Kirby piece. 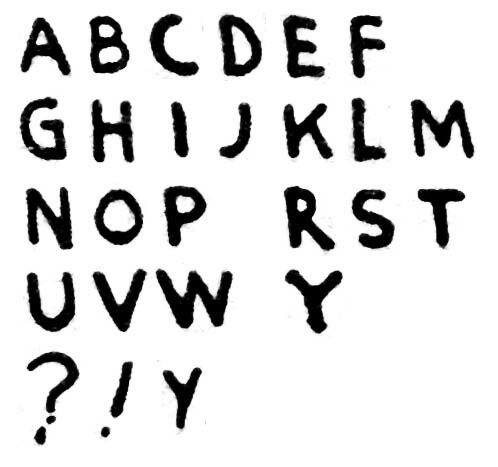 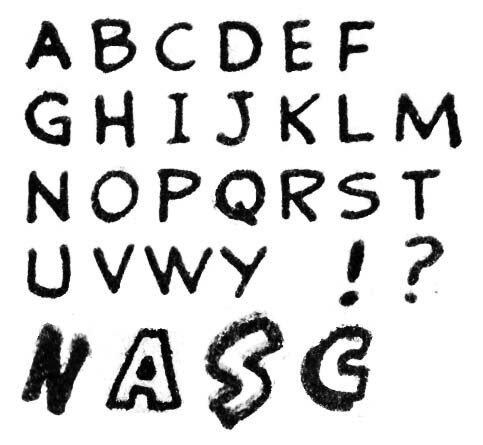 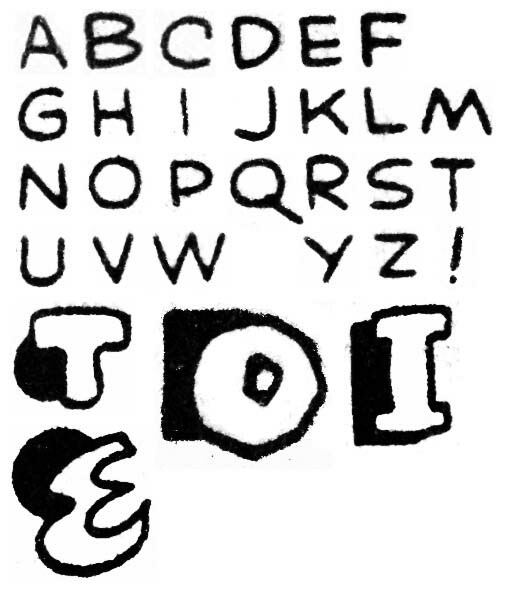 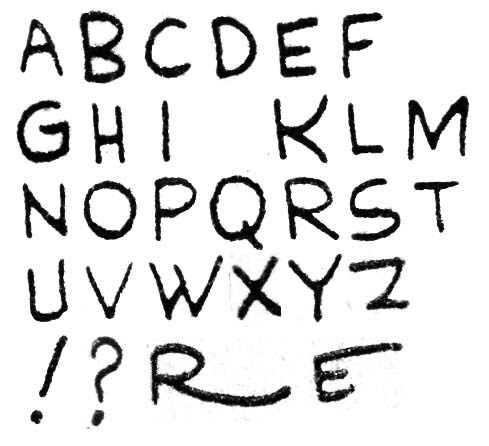 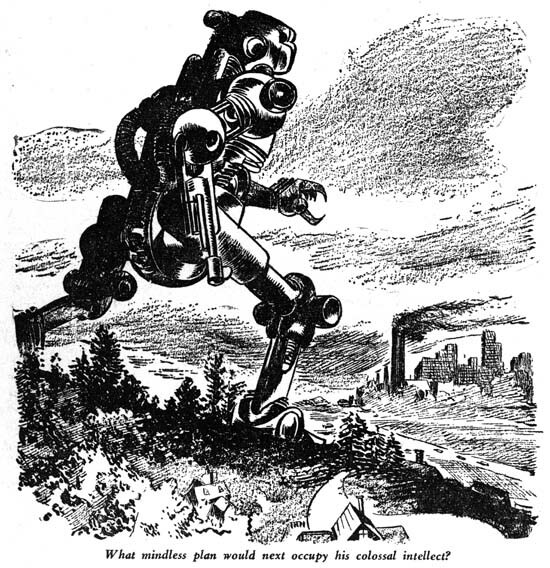 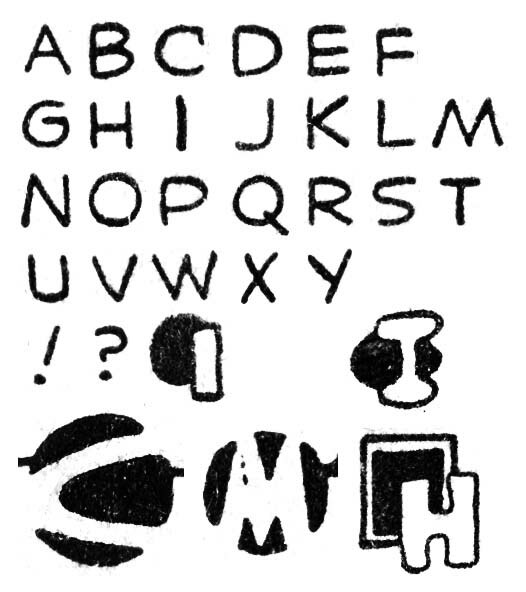 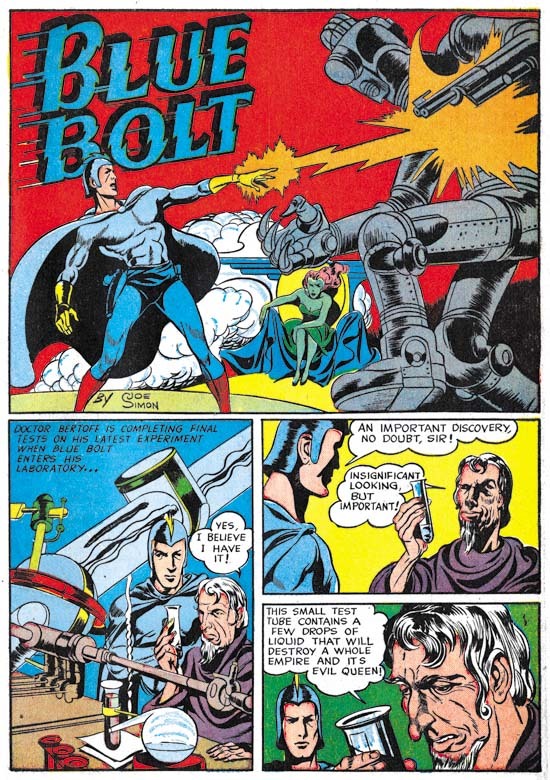 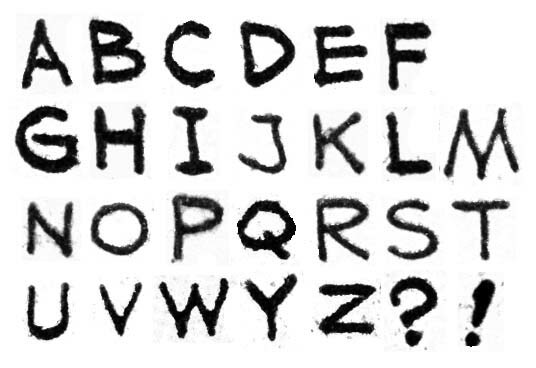 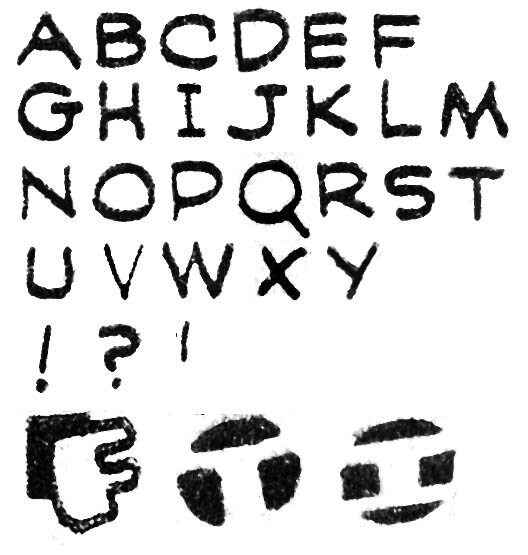 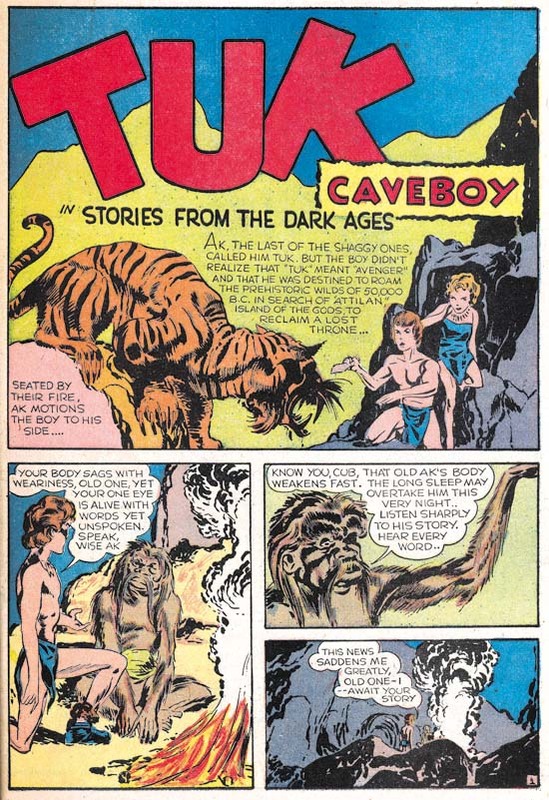 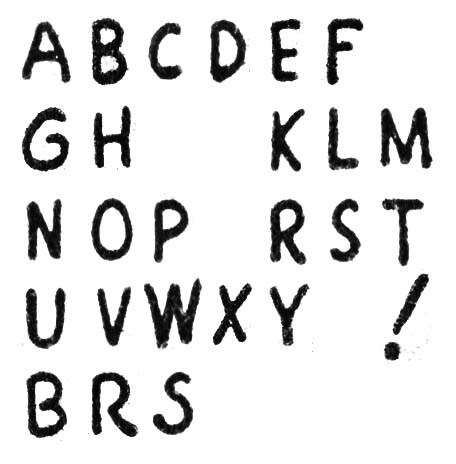 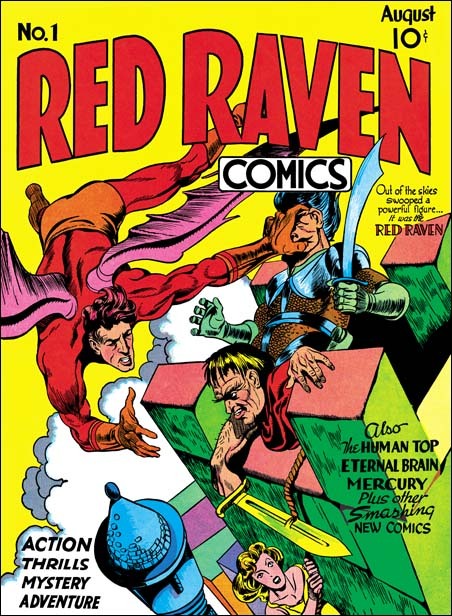 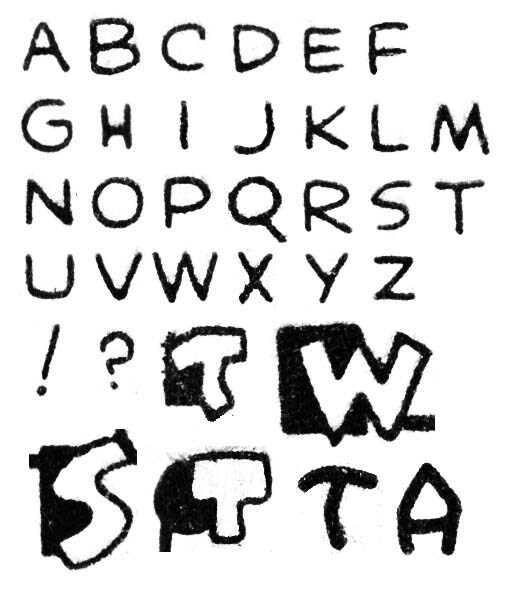 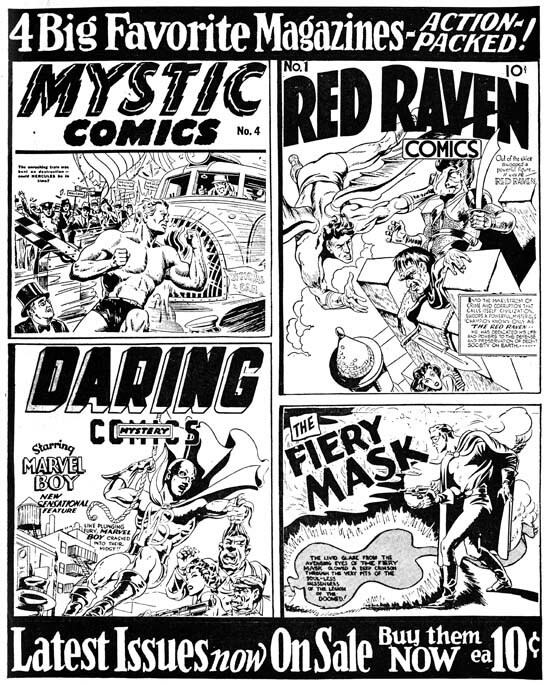 As mentioned previously the inking was very likely the work of one or more of the Timely studio assistants; Al Avison, Al Gabriel and Syd Shores. 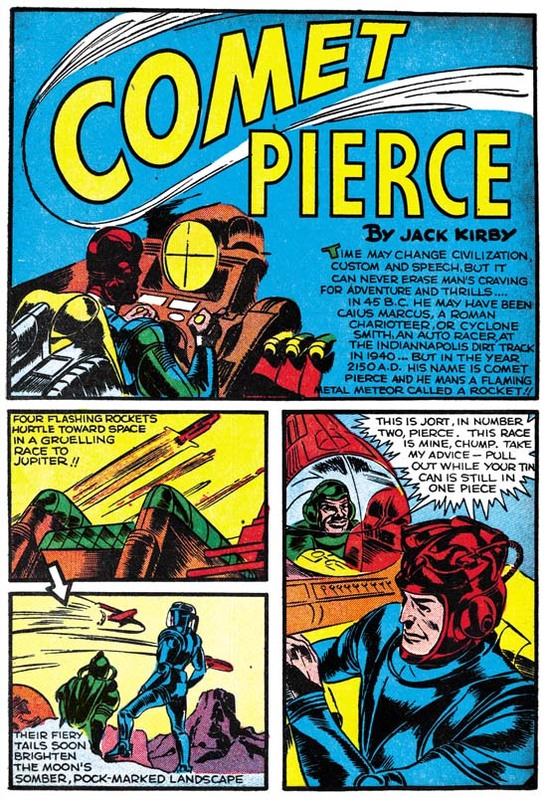 Unfortunately this time Kirby did not even ink the splash. 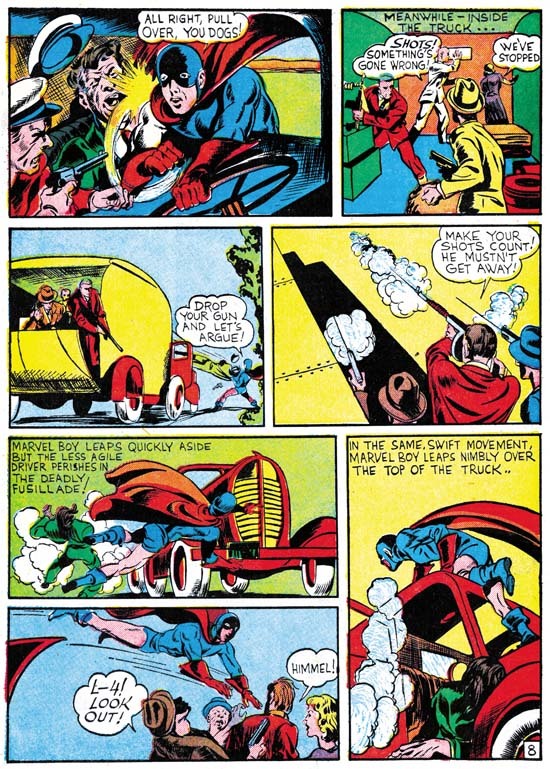 A recent “innovation” was the used of a blue field to encircle the page and separate the panels. 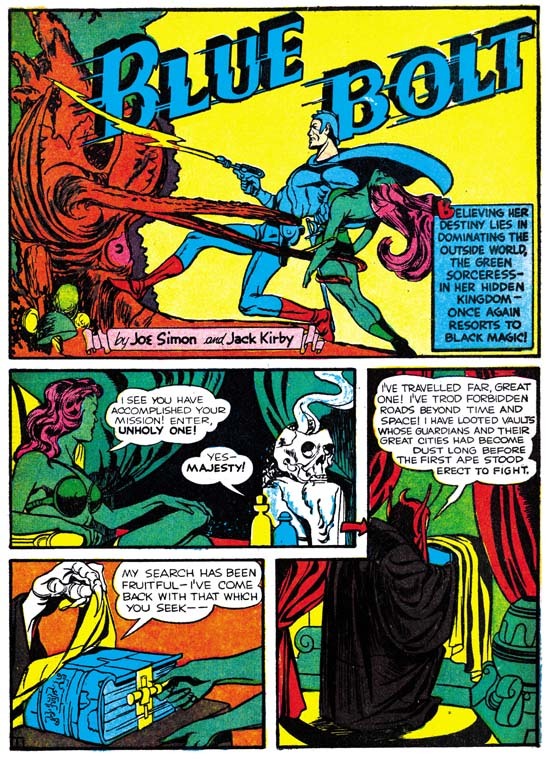 Simon and Kirby had not used this device either before or since. 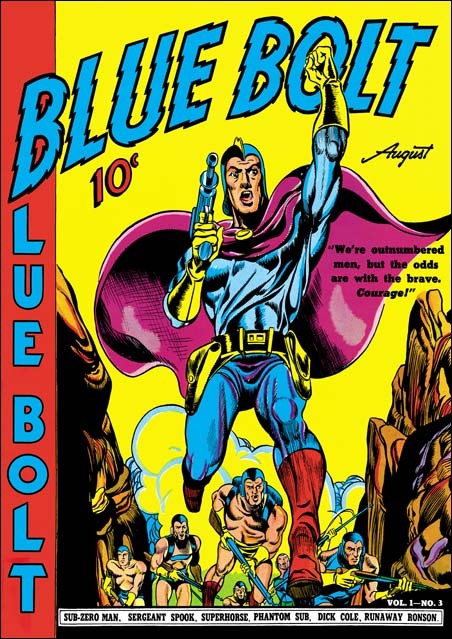 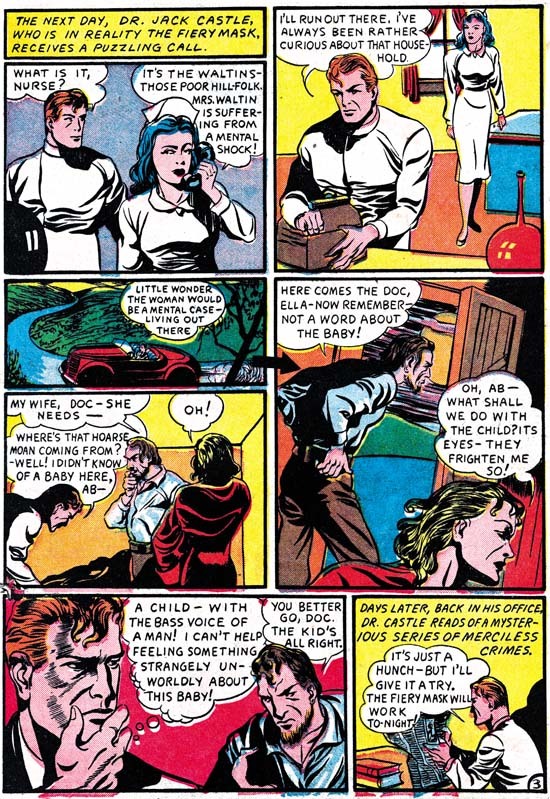 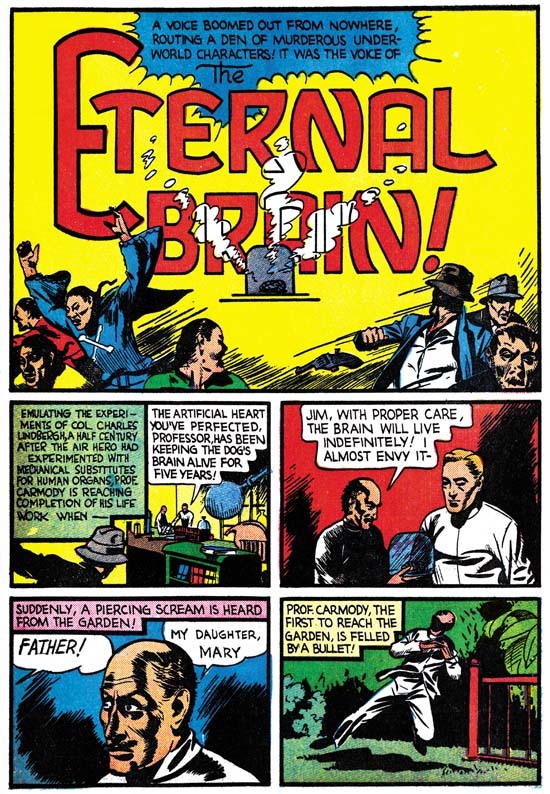 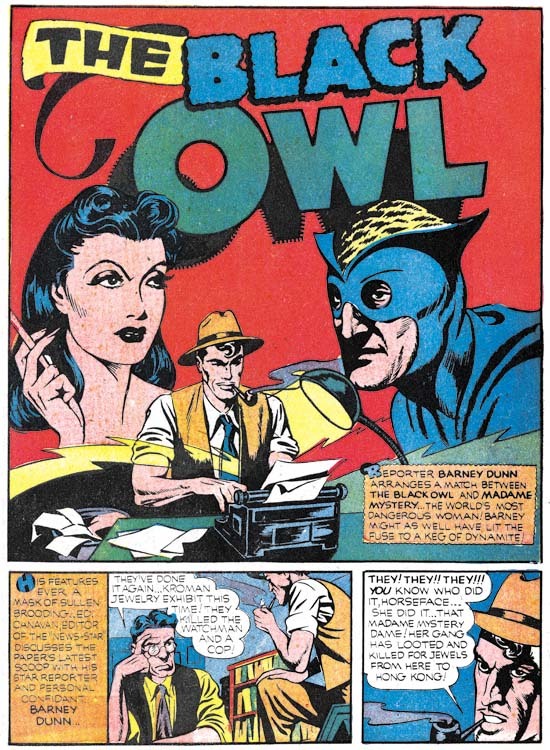 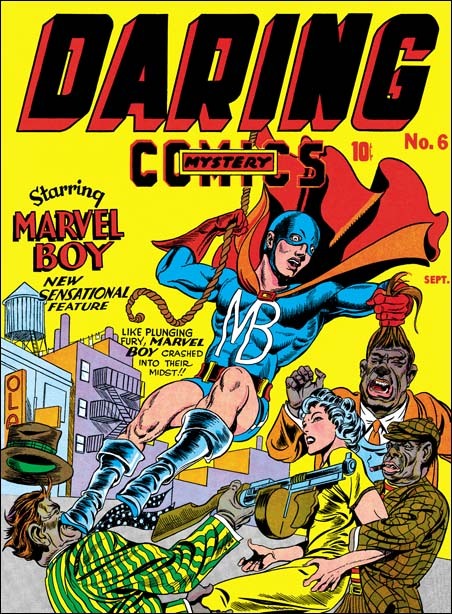 The other features in the comic book had similar color fields although using colors other than cyan (blue) so it was likely an addition by the publisher. 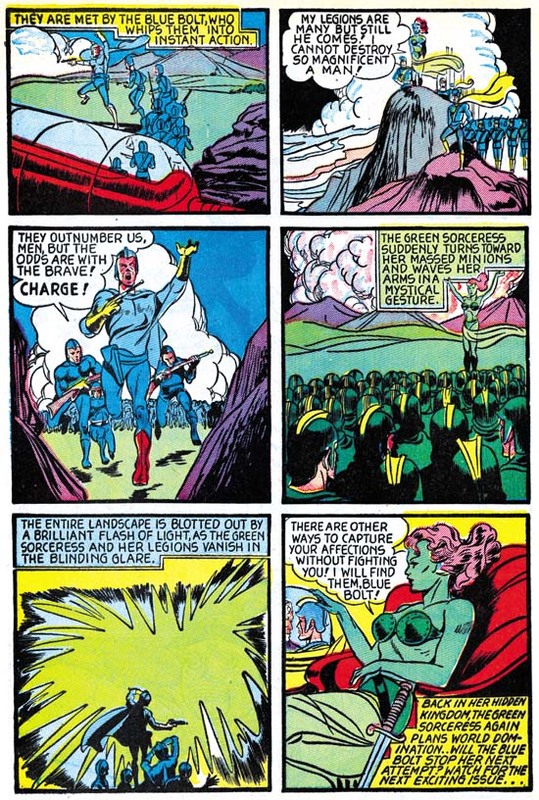 I have to say I find this color field unnecessary and somewhat distracting. 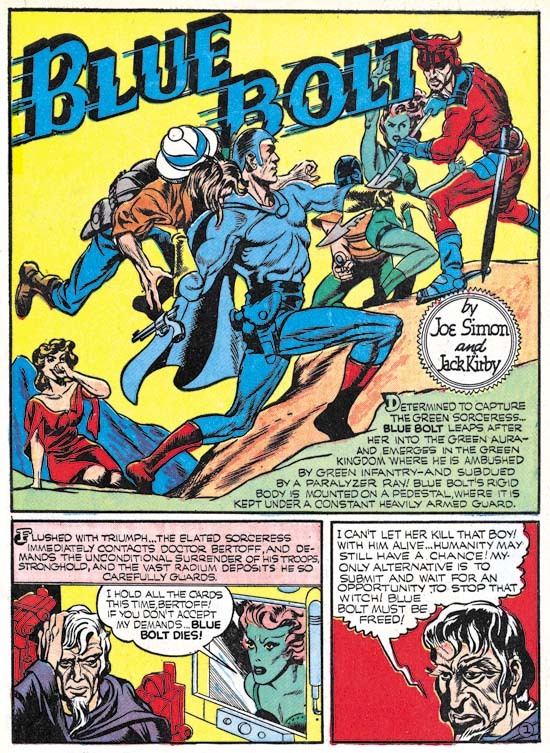 Joe and Jack included in this story a reporter by the name of Bucky Williams. 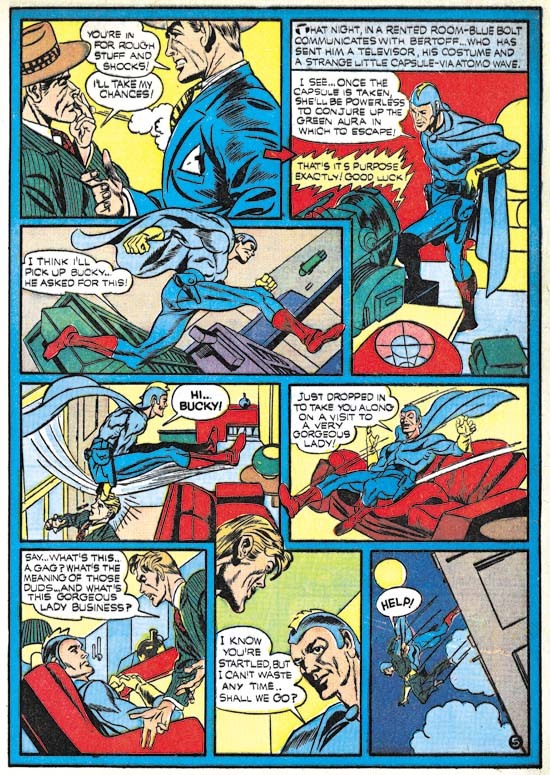 Of course Bucky was the name of Captain America’s sidekick and actually Bucky Williams fills the roll of a temporary sidekick. 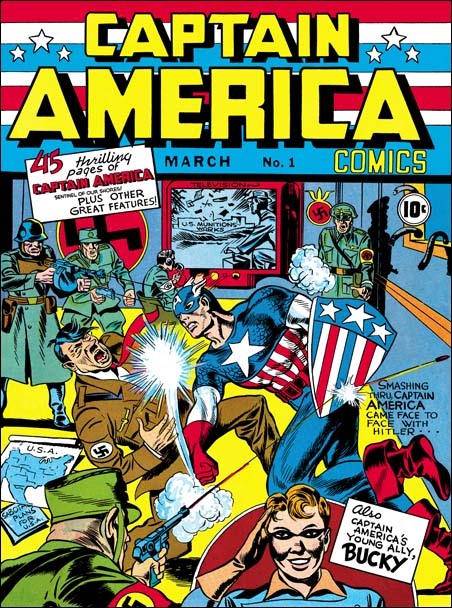 The use of the name Bucky was not the only things found in BB #9 to predate their use in Captain America which would premier next month. 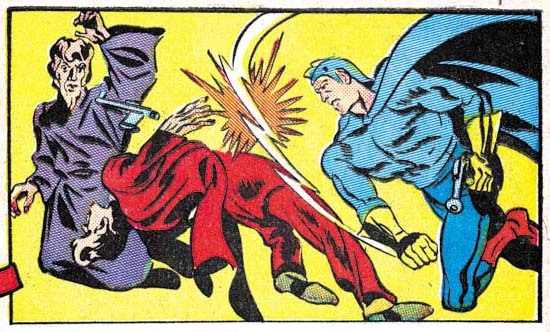 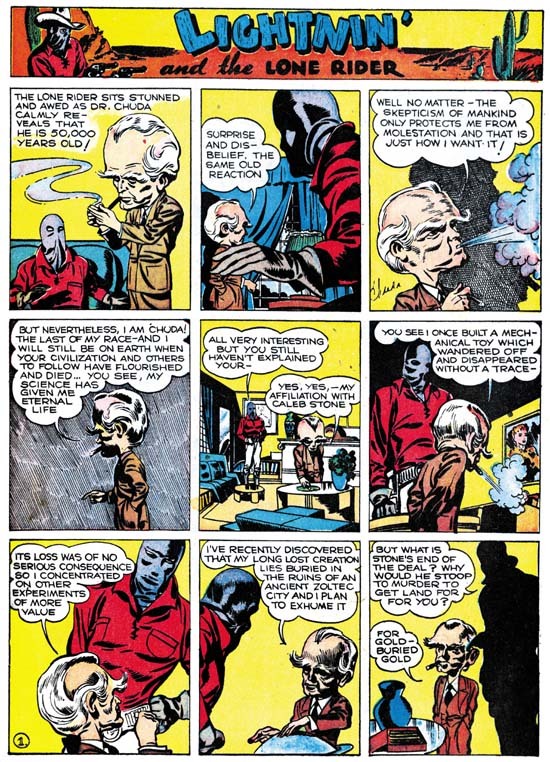 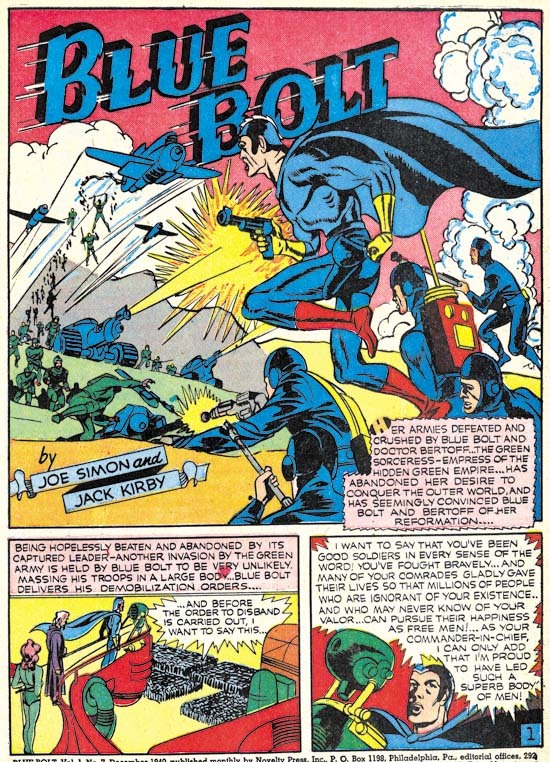 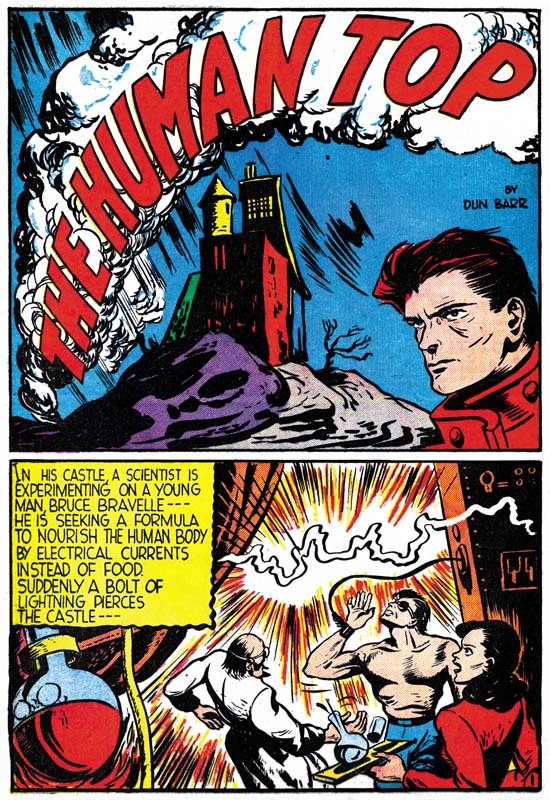 For the first time Simon and Kirby would extend figures outside of the panel borders (see above image). 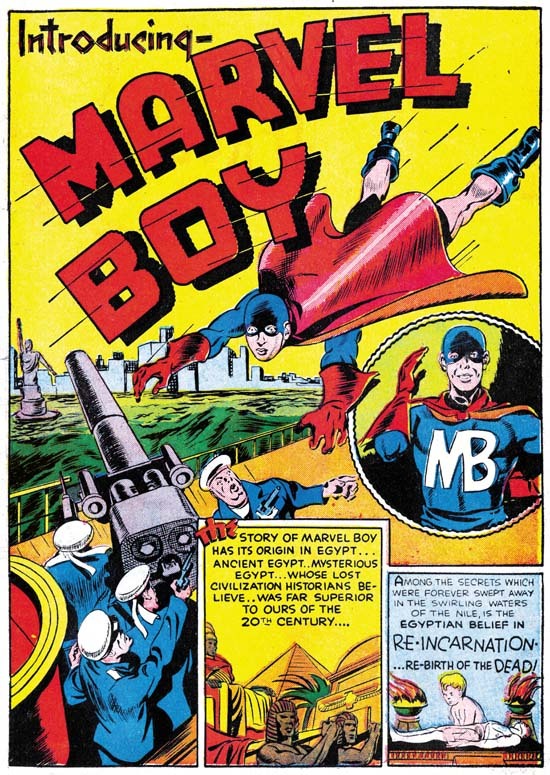 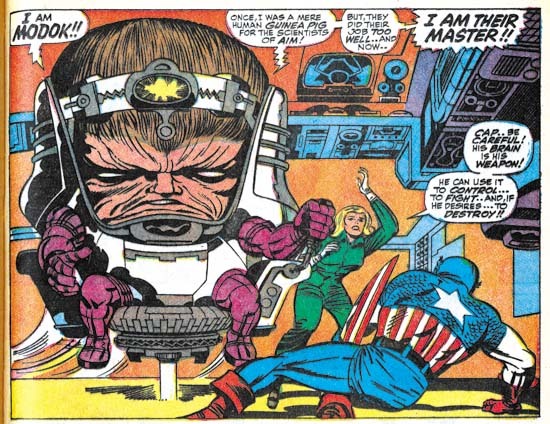 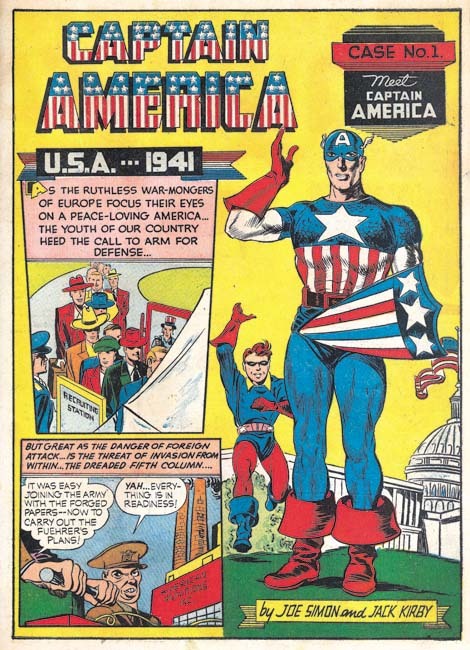 This was not an Simon and Kirby innovation (they picked it up from Lou Fine) but nonetheless was followed by some other artists once Captain America became a big success. 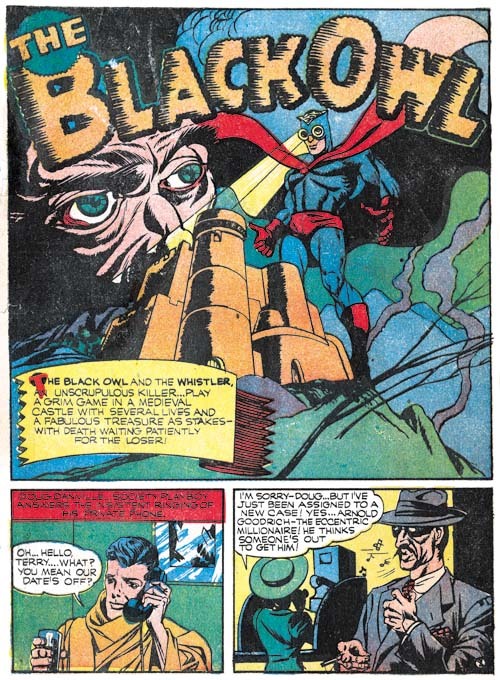 Simon and Kirby return for one final Black Owl story. 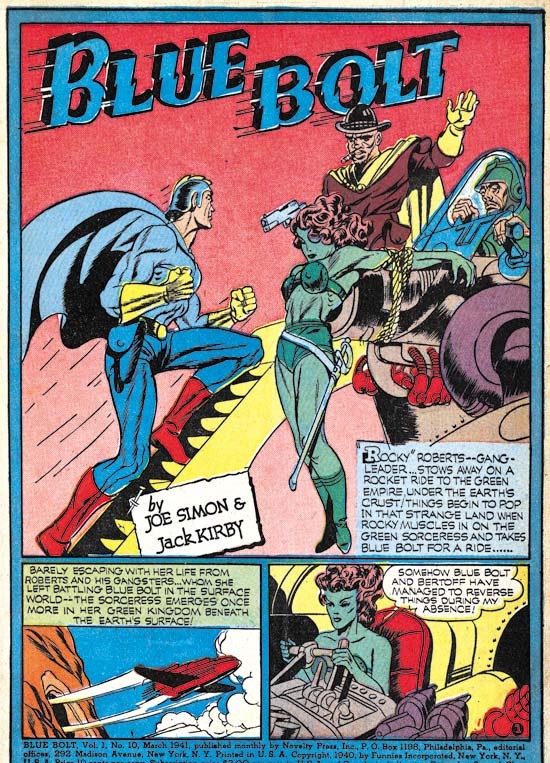 With Simon providing inks to Kirby’s pencils this story is much more attractive than the Blue Bolt #9 from the same month. 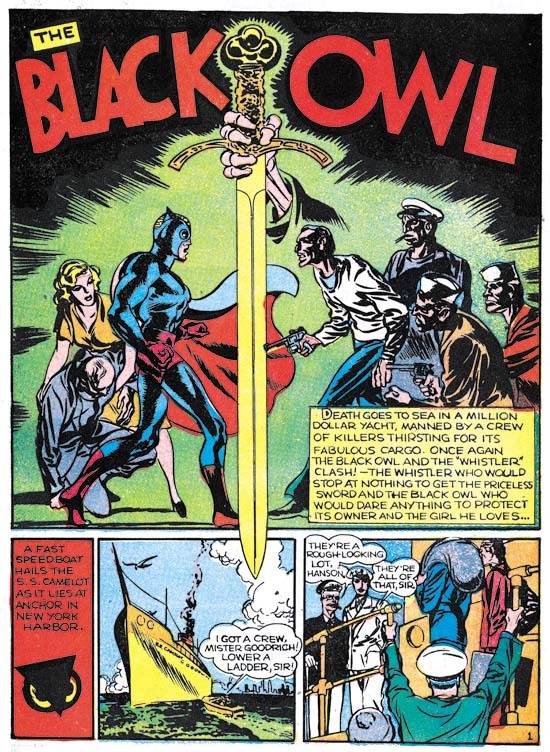 The story includes a reporter who plays the part of a temporary sidekick for the Black Owl. 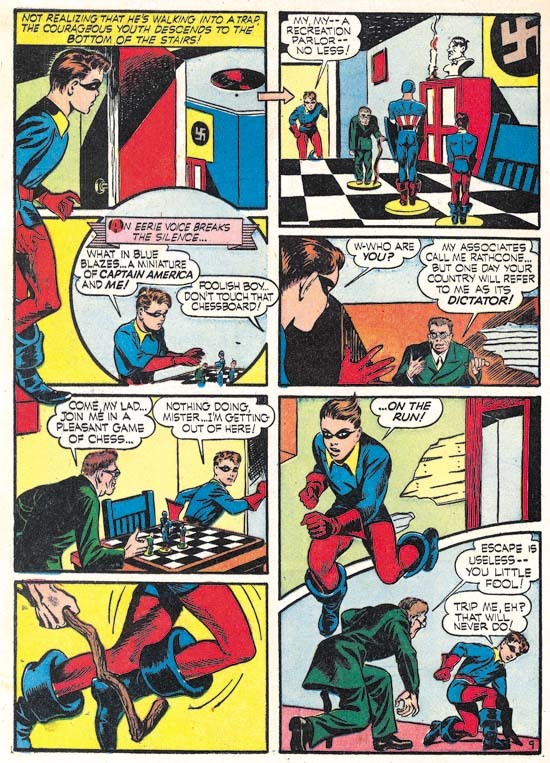 This is basically the same plot device played by the reporter Bucky Williams in BB #9. 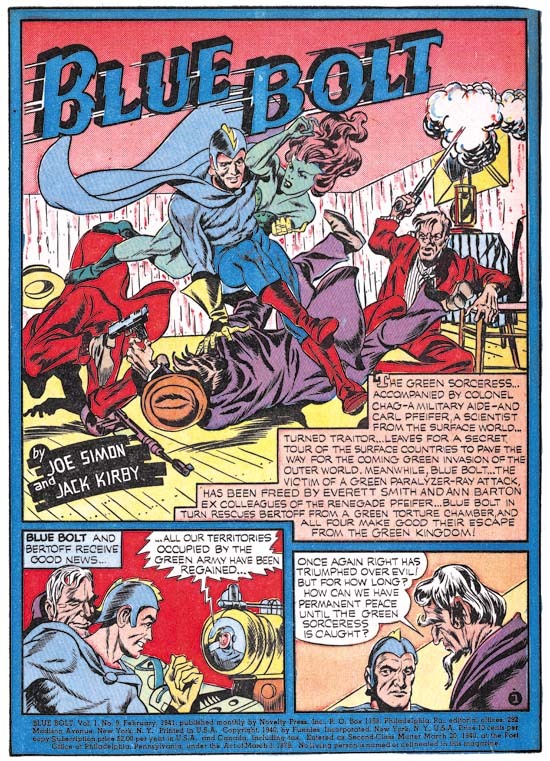 In the art for this story Simon and Kirby extended figures beyond the panel borders just as they had in Blue Bolt #9. 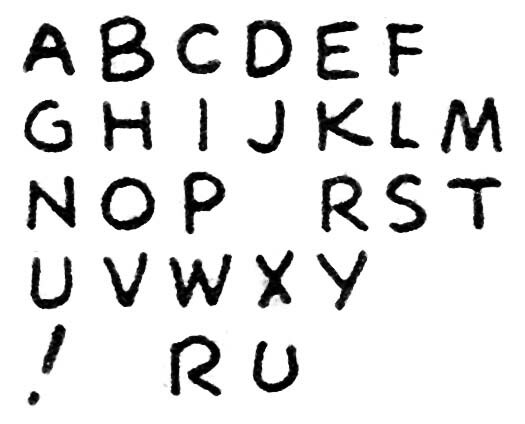 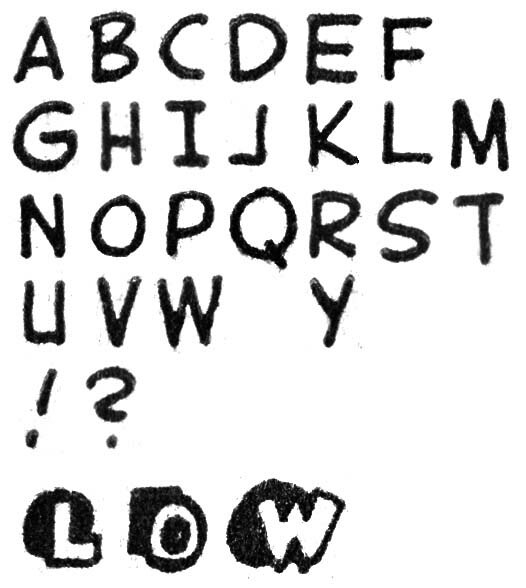 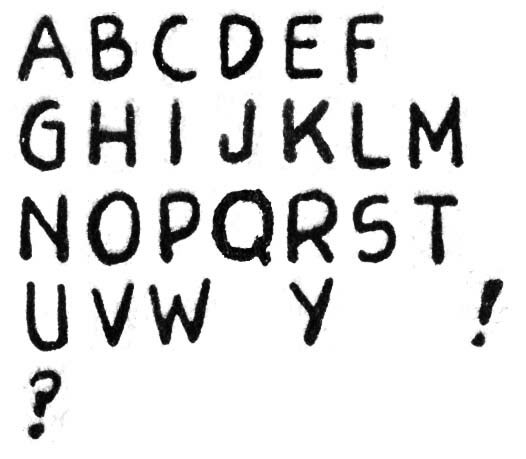 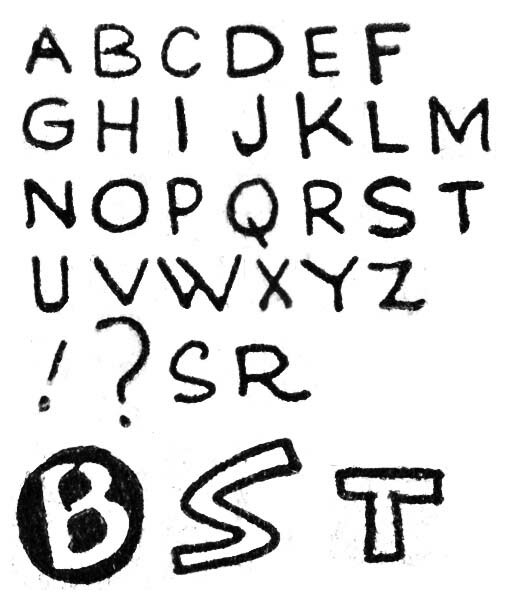 I do not know who to blame, but note the rather odd shadowing of the letter ‘O’ in the title, in particular the center of the letter. 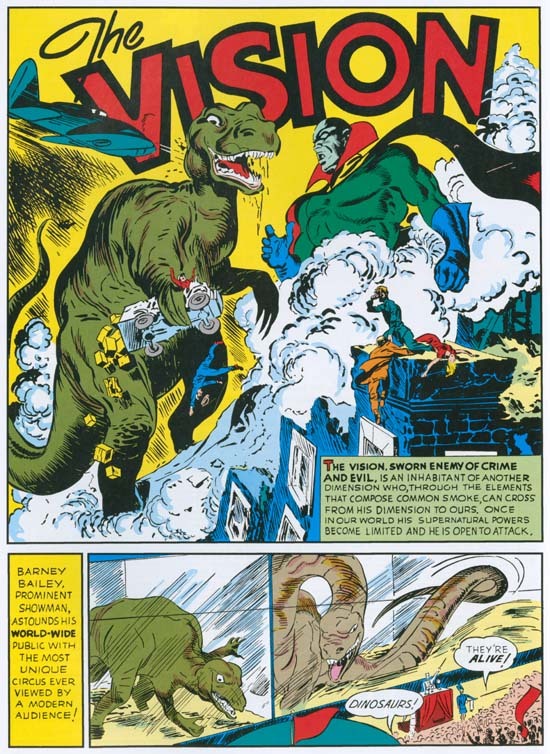 When I restored this page for the “Simon and Kirby Library: Superheroes” book I got a email from an editor at Titan asking if I got the restoration wrong. 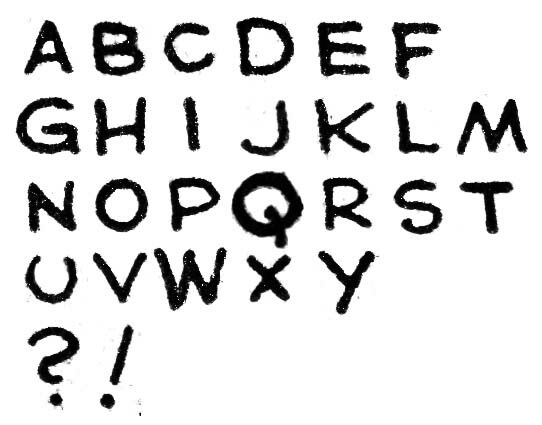 Well of course it is wrong only it was not my error. 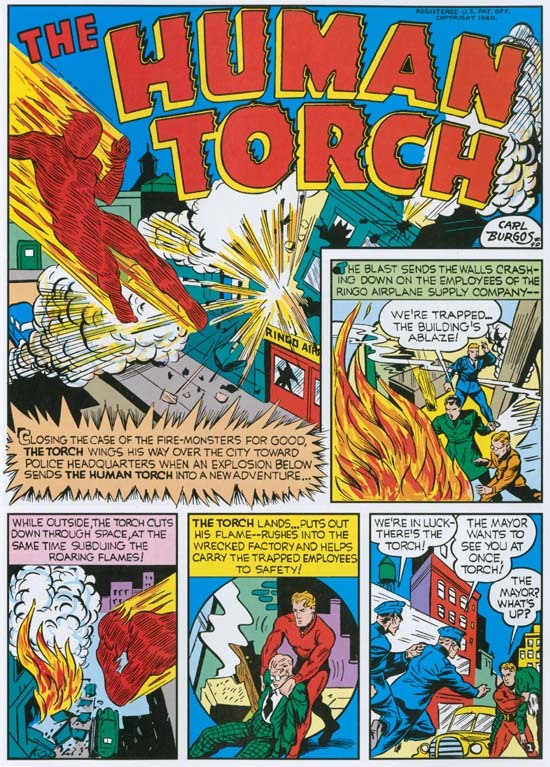 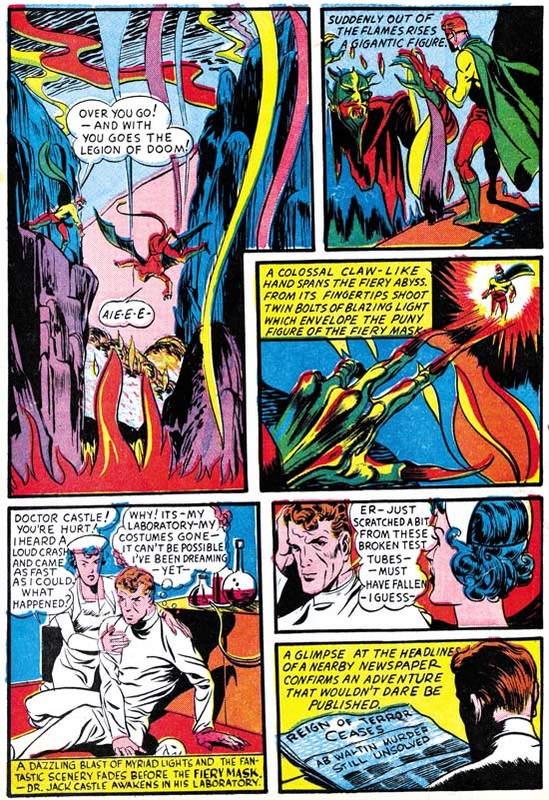 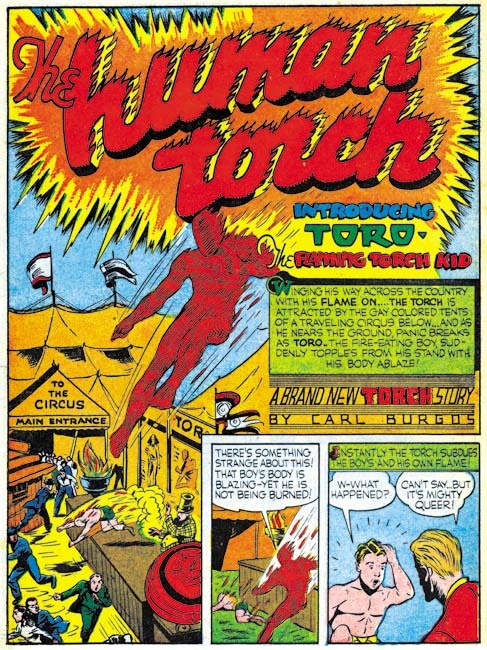 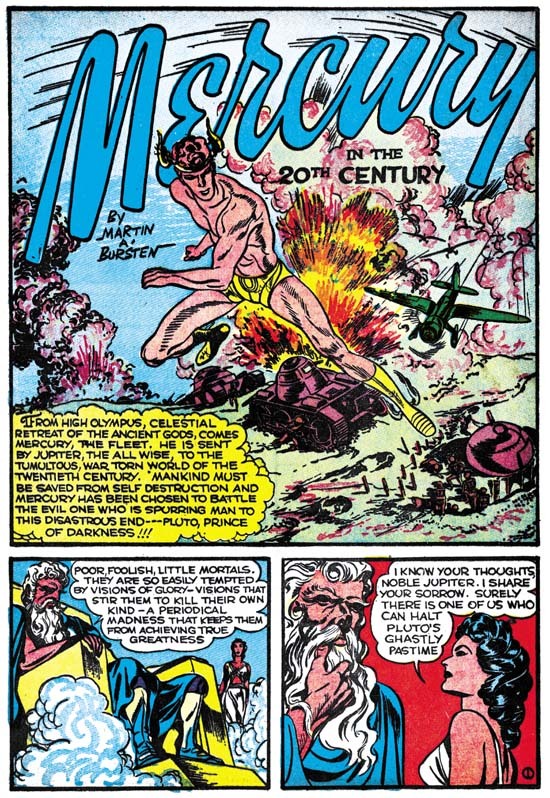 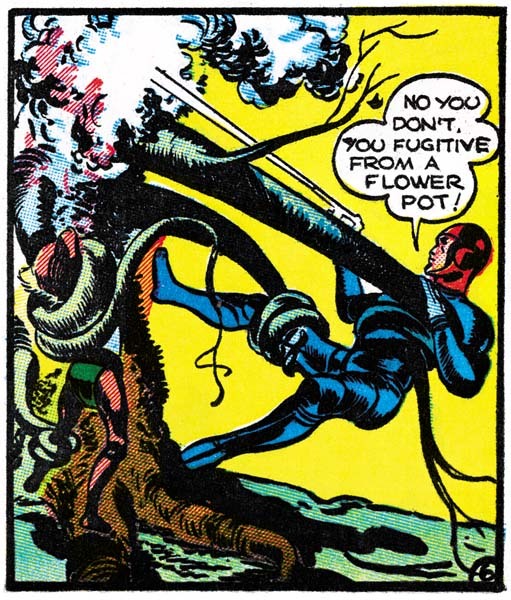 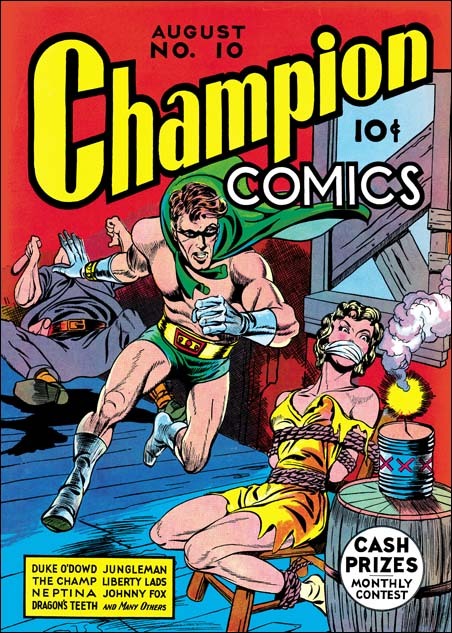 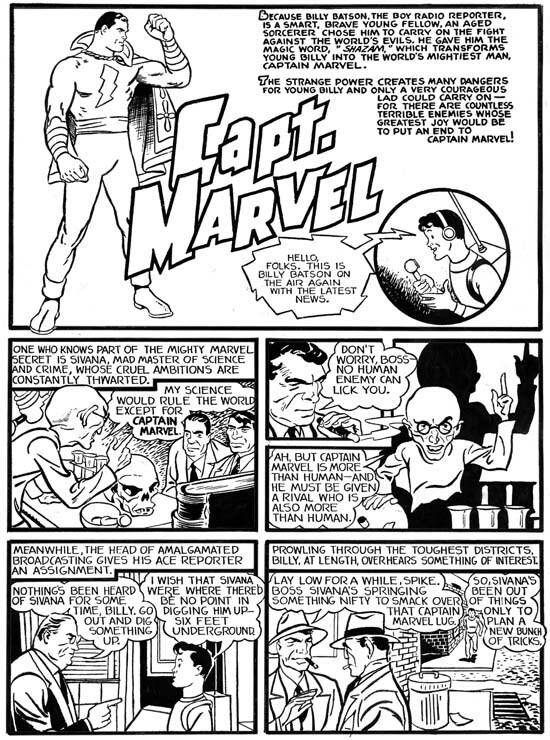 Howard Ferguson provided the lettering for the Human Torch story from Marvel Mystery #16. 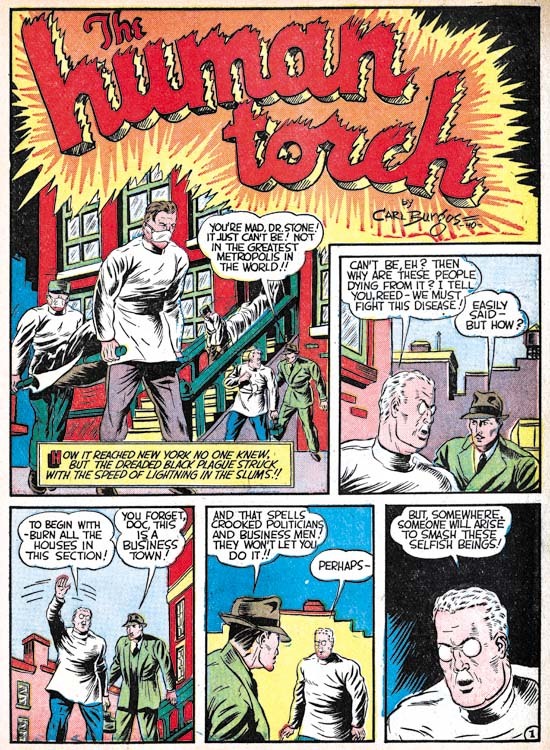 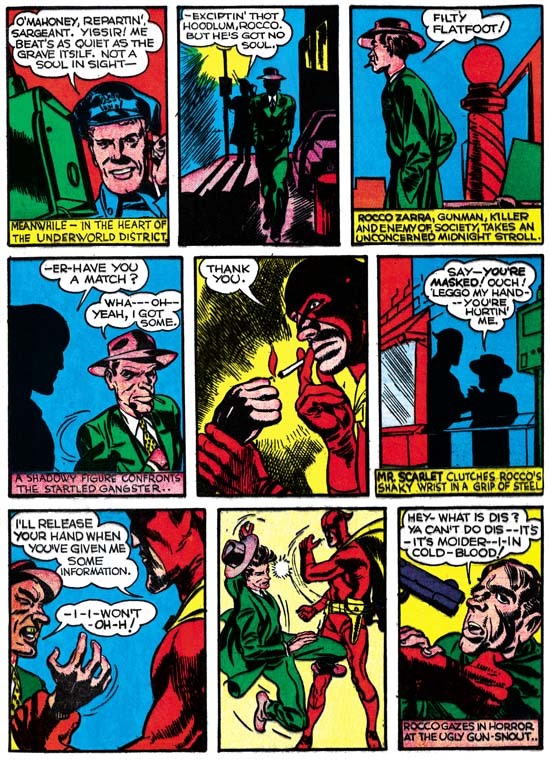 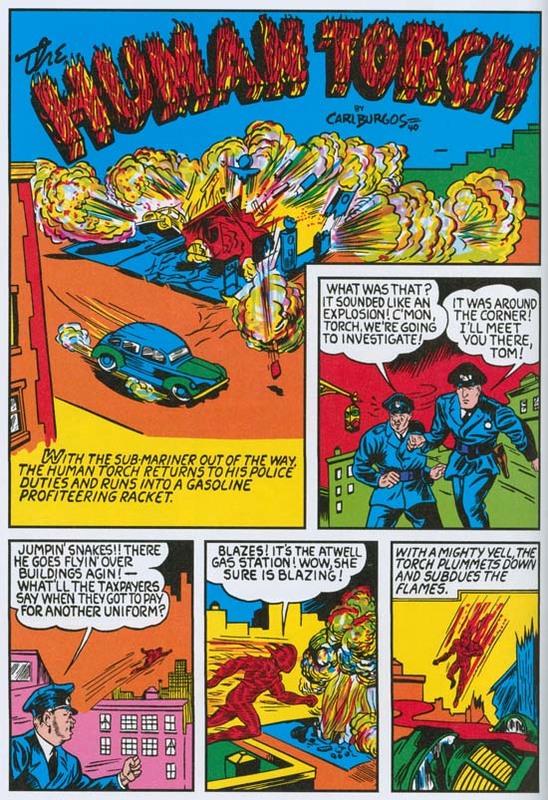 Ferguson did not provide the lettering for all the Human Torch stories in the issues of Marvel Mystery but he did letter some of the Human Torch and Terry Vance stories but only those two features. 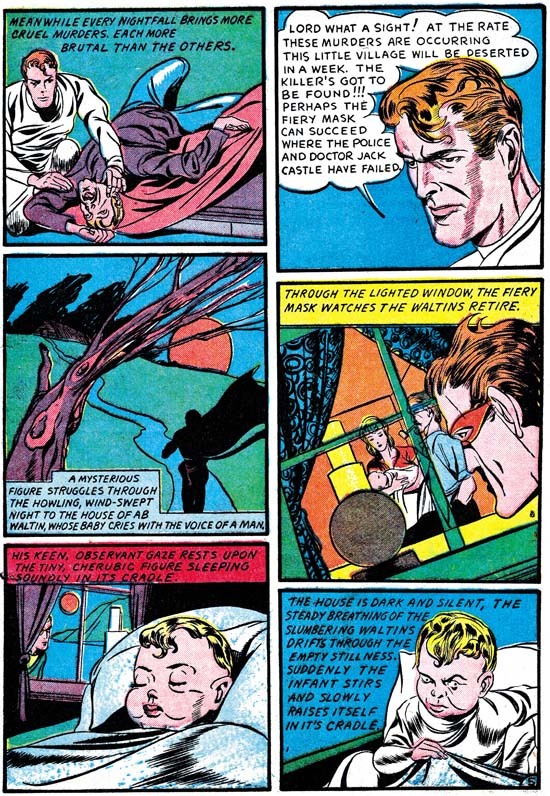 Why Howard was restricted to just those two features is unclear but that would eventually change but not during the period covered by this serial post. 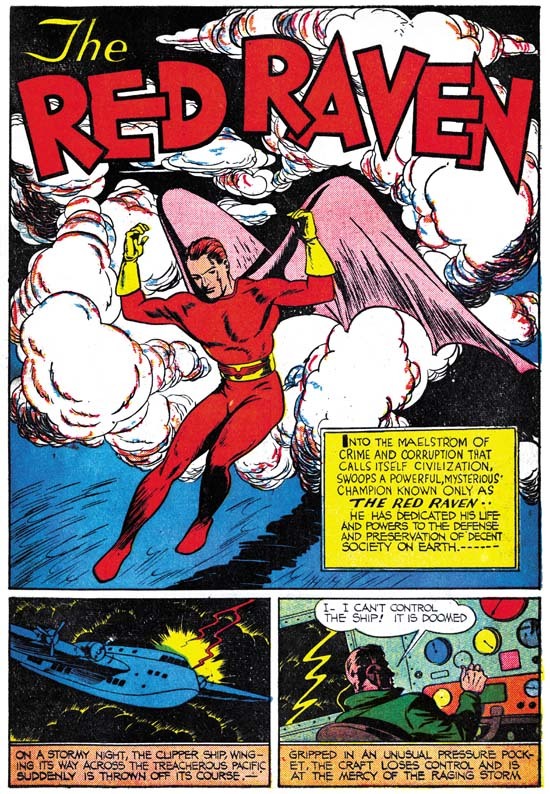 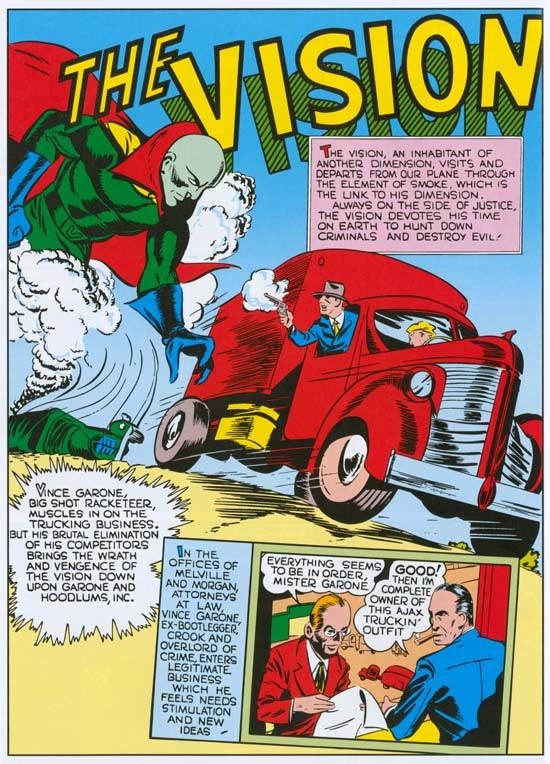 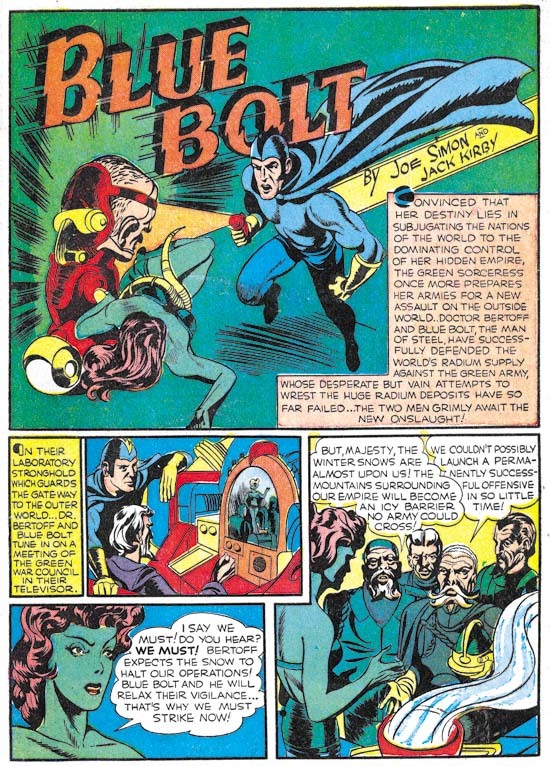 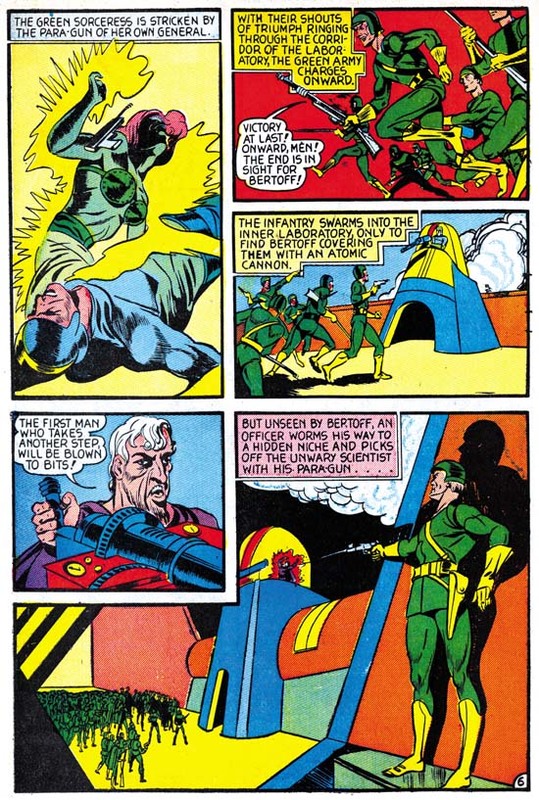 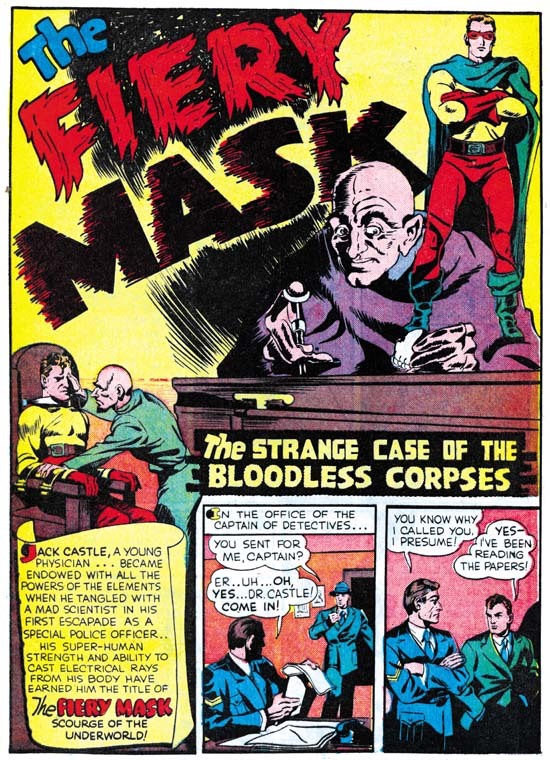 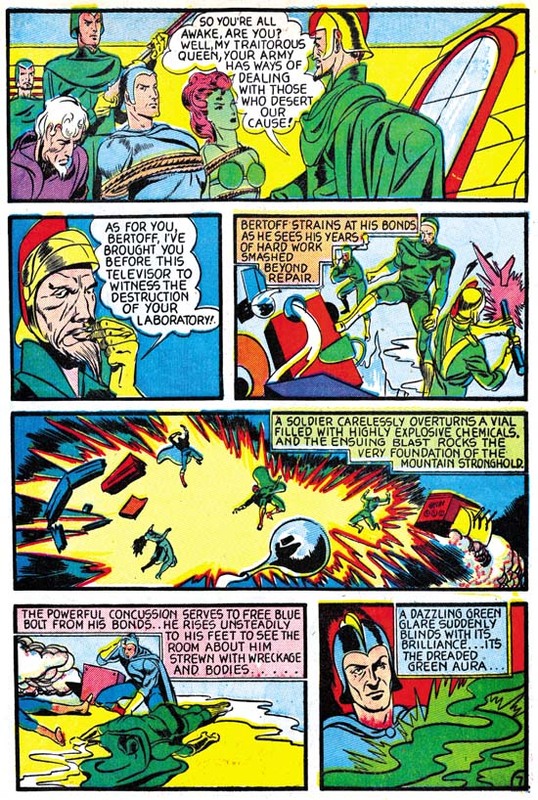 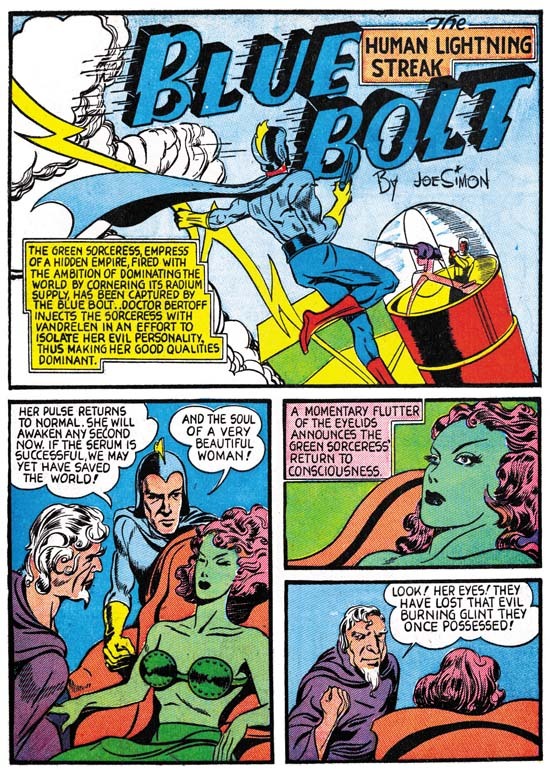 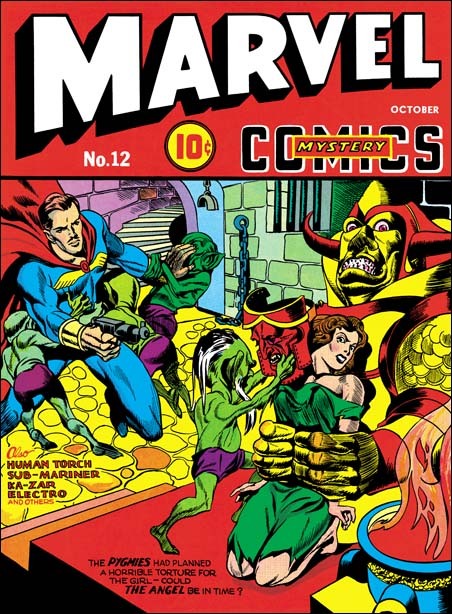 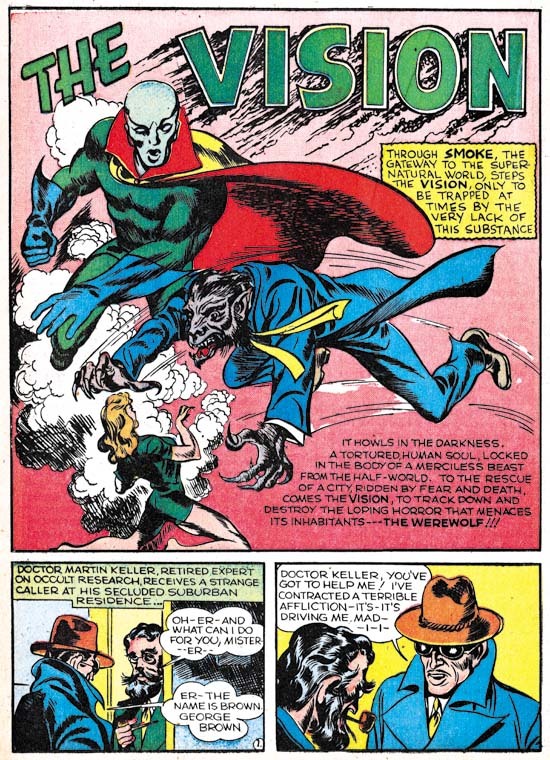 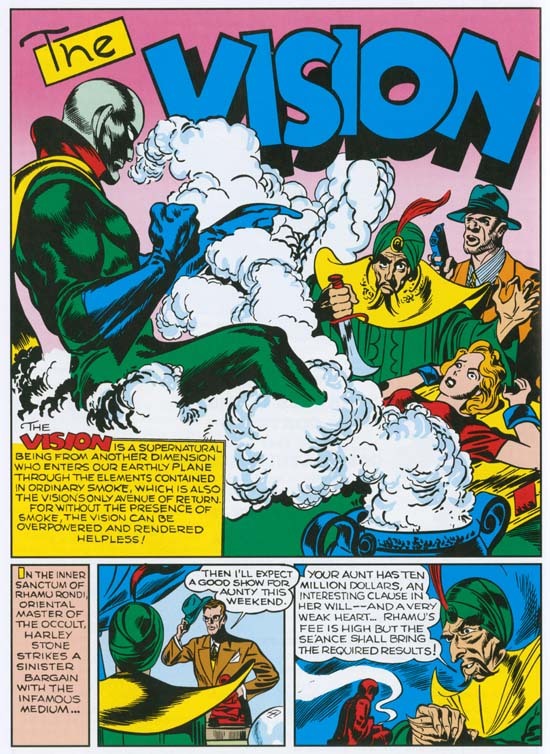 While Ferguson provided lettering for all the moonlighting work that Simon and Kirby produced for this month he did not letter their single Timely piece, the Vision from Marvel Mystery #16. 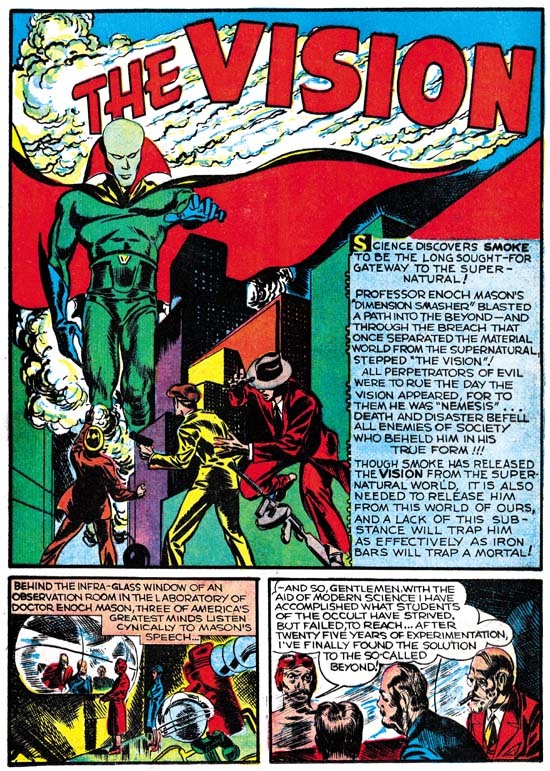 That would not been surprising had Kirby provided the lettering as has he had done in previous Visions stories but oddly some other letterer was used. 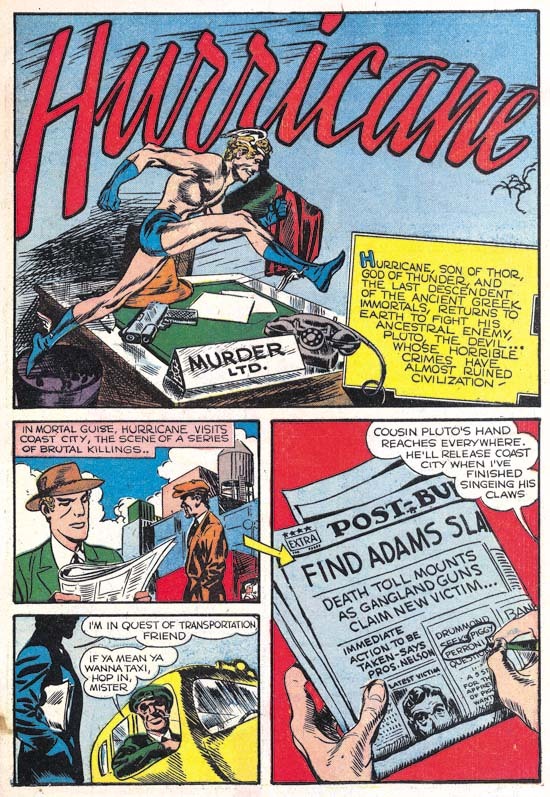 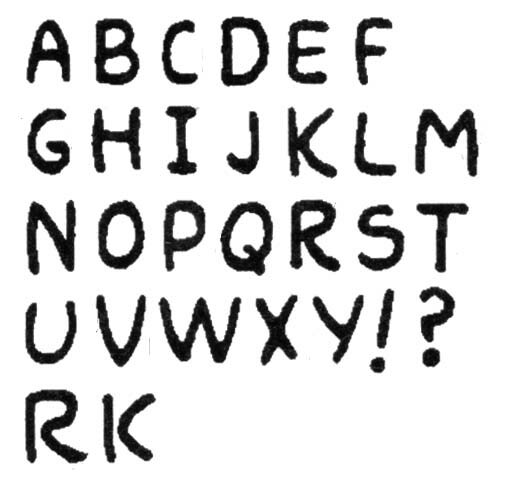 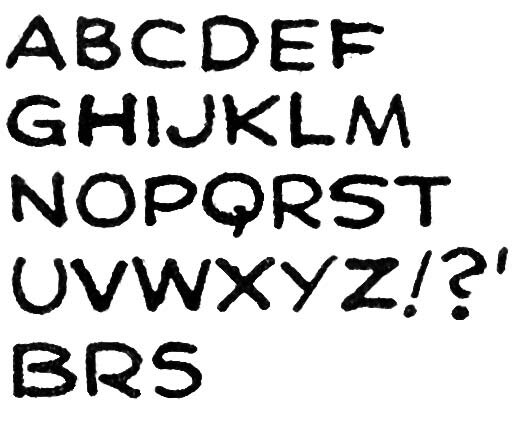 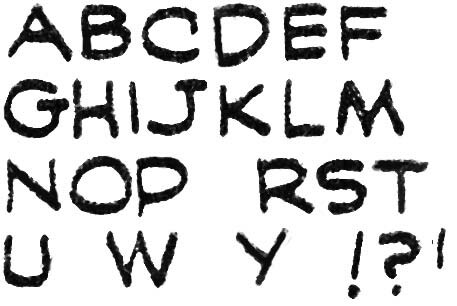 Since credits were not supplied in the comics of those days it is unlikely this particular letterer will ever be identified.